His name is Bear Bear. For a while, he went everywhere with my oldest. She gave him the name Bear Bear on a trip to the doctors office when she was about 2. Then, there are the ones that my husband has won for them from those claw machines you see in some restaurants, the ones they got on vacation, a gift from Grandma, etc. We've got a lot! I don't want to get rid of them, but I would like to store them in a better way. They've outgrown the boxes/bins that we're using currently. And it looks a bit cluttered. 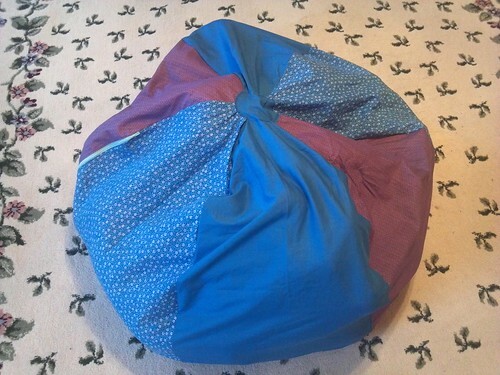 Then, I saw this pattern for a bean bag chair and remembered somewhere seeing a "bean" bag chair that was "stuffed" with stuffed animals. It seemed like a great solution and I have a lot of fabric already (plus it only takes 3 yards if you don't line it, which I didn't). 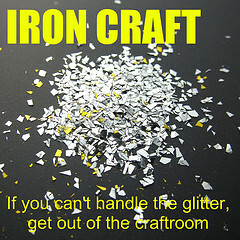 So when the first Iron Craft Challenge for 2013 was Cotton, I decided to give it a try! I also used a zipper instead of velcro to keep it closed. Check out other great cotton projects in the IronCraft Flickr group. This is definitely working for us. For more great tips check out the Works for Me Wednesday post at WeAreThatFamily.com. I love this idea. So can they sit on it too, is it comfortable or is it mainly cute storage? It's a bit lumpy, but I don't think my kids are going to mind. What a cute storage idea this is. 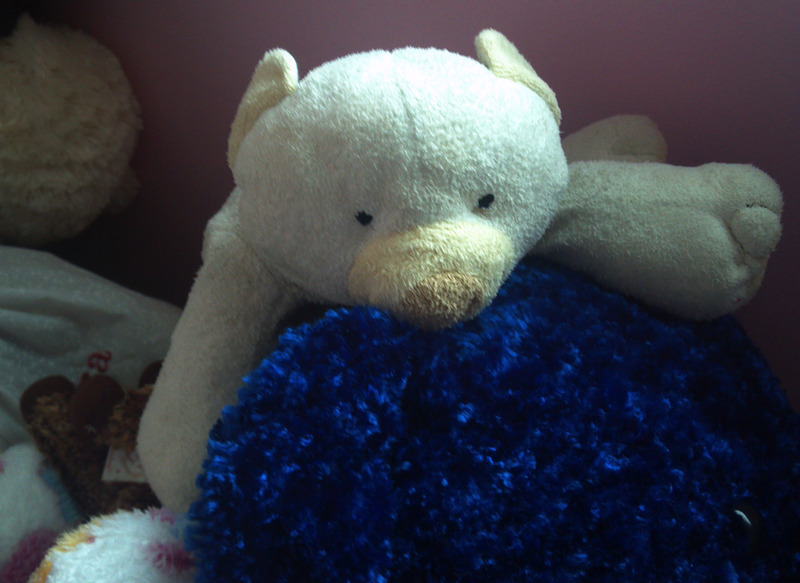 Hello, can I ask where you got the blue bear from? Bear Bear is actually a white polar bear. The lighting isn't very good in the picture. It it's made by TY. It was a gift about 10 years ago, maybe purchased from Walmart at Christmas time. it's got a scarf, so kinda holiday themed. Would you happen to still have it? I would like to buy it or at least get a clearer image so I could image search for it. Thank you.